G2A.COM G2A News Latest News The EA conference is behind us. And, admittedly, it was a bit of a shaky start. There was a lot of good there to be sure, but all in all it may have been a bit underwhelming. Sooo it starts with a whole lot of soccer, unsurprisingly. Fifa 2019 was attempted to be hyped up, but at this point… Let’s be serious, nobody is capable of getting hyped up about a new Fifa. The formula is so overdone and repeatable that at this point even for the super excited community of it (which exists) it’s like changing a light-bulb. Then that was followed by… Star Wars Battlefront? Now don’t get me wrong, I think it’s admirable so many bright minds are working on making it up to the disappointed players and make Battlefront become like a real game and all, but I think we all wanted to see something new and exciting. Then again an often omitted subject is the fact that these conferences aren’t really made for gamers. They are made for investors. So from that perspective it makes perfect sense for EA to talk at length about Fifa, Star Wars and their new monetization models. In any case, the conference then moved on the EA Originals program which helps indie developers publish games and that was the actual highlight of the conference. 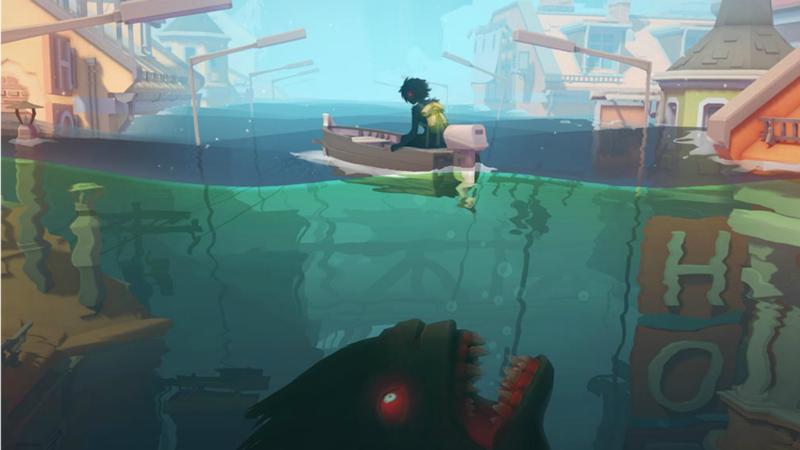 We saw a charming Unravel 2 and exquisitely artsy and deep Sea of Solitude, two games which look very, very promising. Then there was some more sports. Of course. Yeah, no, I’m not talking about the next Maden at length. And then EA showed us something that… Maybe was not received very well. Remember Command and Conquer? Fun strategy games with super cheesy live action cut-scenes with super over-the-top story? Yeah, the next one is a mobile game. Undoubtedly severely monetized. With plenty of loot boxes. And the live action is gone. I… I will let you make up your own mind about that. And finally we closed on Anthem. EA hosted a Q and A with the game’s developer. They explained the workings of the Javelin suits and showed a lot of gameplay involving a whole lot of flying, shooting and… More shooting. And not a lot of story to be sure. I couldn’t shake off the feeling I’m watching Destiny with mech-suits. And that was it. You can watch all of it above. And in memory of Total Biscuit, I will leave you here with the newest Snarkathon hosted by TB’s wife Genna, still continuing, even with TB gone. A final “f” for you TB. May the flights of Todd Howard sing thee to thy rest.